CraftBeer.com, a website published by the Brewers Association, was created on behalf of U.S. craft brewers to celebrate the best of American beer. 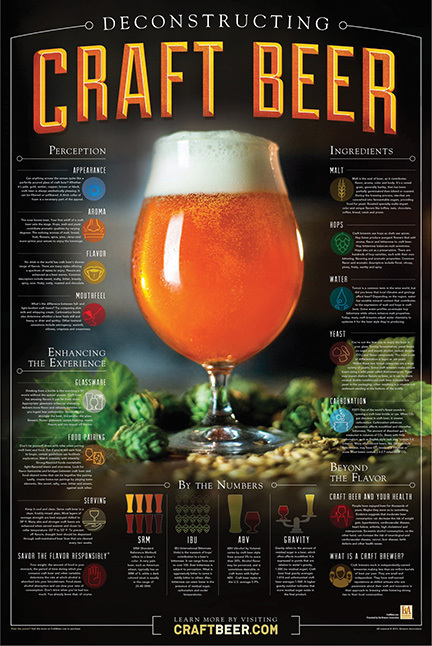 To expand its promotion of craft beer, CraftBeer.com recently designed a poster that provides detailed information about the beverage of craft beer. From perception to ingredients, the poster textually and visually deconstructs craft beer. The poster is available in the Brewers Association’s online store.